Today’s favorite things are going to be items “around the house” – this was easy because as I walked from room to room I just took pictures of things I have out/am using. 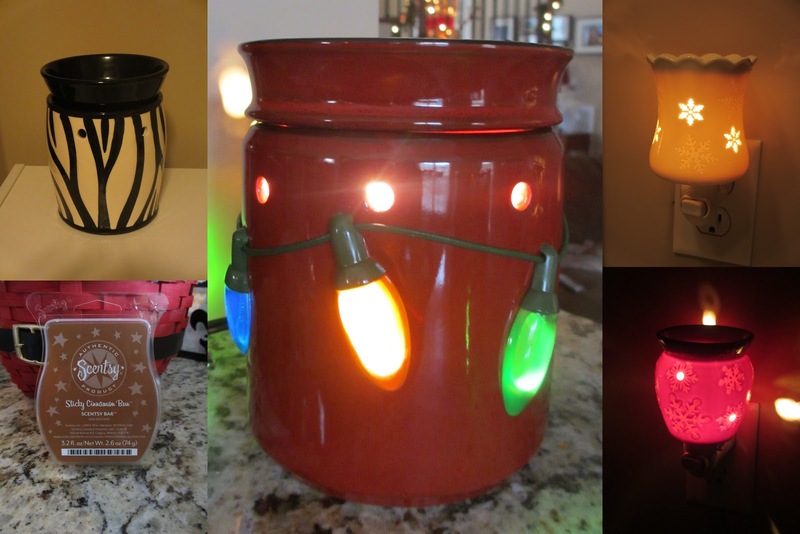 Almost every room in the house has a Scentsy! I LOVE the scents and that I don’t have to worry my cats are going to catch their fur on fire or burn down the house with their endless jumping from object to object. I started selling Scentsy last October and I’m pretty sure I’ve put my profit back into buying more for my own personal collection. Over the last year or so I’ve also developed quite the thirty-one collection. I have to admit though; I use these totes for EVERYTHING. I’m not really into their purses but the utility and organizing totes have my name all over them (literally, hah). Right now I have one holding wedding magazines and my binder, another for items I’ve ordered for the wedding, one has my Scentsy samples, there’s at least 2 in the back of my car with either returns or errands and another stack that’s getting ready to be used to pack for our Christmas trips. I love getting them monogrammed and have recently started getting them with my future “G” instead of “K”! I think it’s cute when they say “Games” “Snacks” etc but I feel like it’s too limited for me – I want to be able to use the bags for whatever for a long time to come. In my quest to re-organize the house, I’ve fallen head over heels in love with the OXO Good Grip Clear Containers. I picked this set up at Target and can’t wait to fill it up with all our snacks. Love that their clear and stackable! I told myself I wasn’t going to buy these and just add them to the wedding registry but I couldn’t resist… I’ll just add another set to the registry... problem solved! I'll have to do another post about how I used these in my snack cabinet. True story.. I had this post in draft while working on it, and decided to go get a set of these for my mom for Christmas. I ran by Bed Bath and Beyond last night and grabbed their boxed set (pictured below) and well... let's just say now I need to go get ANOTHER set. I actually decided this wasn't a good gift set because the containers are tall and skinny vs short and fat and I don't think they hold as much per container as the set from Target. These are filled up with items from a huge tin of Christmas goodies Adam bought from someone's kid at work that's in Boy Scouts. We weren't really eating any of it because they were in bags, down in the tin, and well, that was too much work. Now they are easily accessible and fun to look at! Another organizing must-have are the Rubbermaid Interlocking Containers. I first mentioned them on this post. I’ve since organized another drawer in the kitchen. I’d love to get some more of these, only issue is that the closest Container Store is a little over 2 hours away. Bummer. I did pick up a different but similar product at Target so I’ll try those out and let you know my opinion. This has to be one of the most random finds of the year but one that’s totally practical for me. It’s a set of 3 remote control switches for outlets! One of my pet peeves is when I’m reading in bed, I have to get up to turn out the lamp on my nightstand because it’s just a little too far away to reach without falling out of the bed! I was in Bed Bath and Beyond a few weeks ago and could hardly believe my eyes when I saw these sweet little remotes. LOVE them! I have my 2 nightstand lamps and the bedroom Scentsy on the remote. Now I can even enjoy my Scentsy right up to the minute I fall asleep. Genius. iPad 2. Adam jokes and says it’s like my shadow because I carry it from room to room with me. It’s like my little buddy. I seriously don’t know what I did before I had an iPad! Lugged my laptop around I guess. We have both the iPad and the iPad 2 and iPad 2 gets bonus points because not only is it lighter than the original but it has FaceTime! I love getting to FaceTime with friends and family; technology really is amazing. Brothers label maker. Go ahead – laugh but secretly I know you’re jealous if you don’t have one. My biggest complaint with the label maker is that there’s a lot of wasted label on the side once you go to print it. Plus, I’m guessing I left mine on the first time I used it and ALL (there’s like 10 batteries!) in it died and I had to replace it the second time I wanted to use it. I do enjoy seeing my beautiful labels though! I bought pink tape to use in my scrapbook room when I have time and decide where I want everything to be. My next favorite is something I found at Barnes and Noble in Henderson, NV this past January. I've always been someone that kept a journal but then I would go long periods of time without writing and it seemed like such a hassle to get caught up. 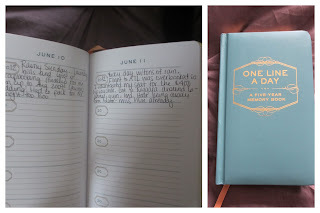 Enter the One Line A Day Give -Year Memory Book. I've really enjoyed jotting down a line or two night each night about what went on that day... even if most days are like Groundhog Day. It'll be fun to look back in a few years and see what we were up to - especially since I've always been like "Can you believe a year ago today we were XYZing?!" My Velata Fondue (basically chocolate Scentsy!) also had a lot of use in 2012. This has been something fun to pull out when we have visitors or take a trip home. There's also a few of these being given as Christmas gifts this year! ...and there you have it! I just looked back through my list and these really are my favorites because I've even given everything on here as a gift to someone this year! This was so much fun to compile. Stay tuned for tomorrow's favorite "beauty" items! What are your 2012 favorites?? Anything I need? !